After traveling out of town participate in the Tournament of Champions, the RBHS boys’ tennis team fell just short, placing second overall. 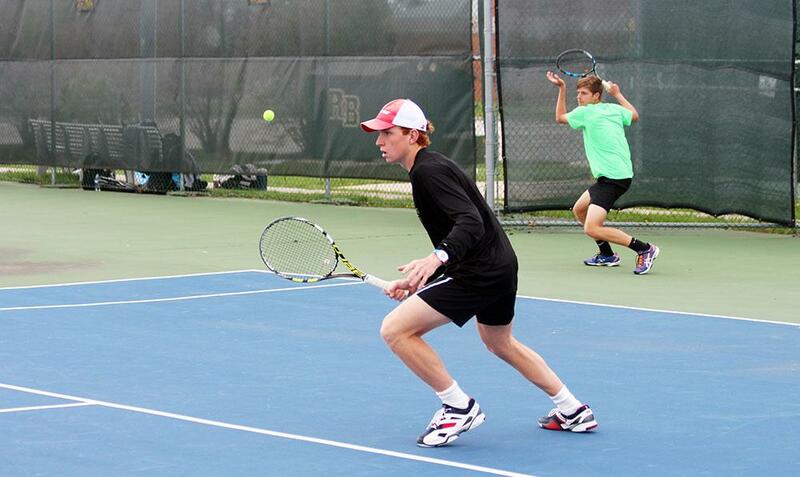 RBHS placed sixth place and ninth place in singles, while earning fifth and second place in the doubles category. The Class 2 Bruins were able to defeat the rival Rockhurst Hawklets for the second place title, while the Mary Institute and Saint Louis Country Day School (MICDS) Rams emerged as the ultimate victors, placing first in all titles. Although Head Coach Ben Loeb agrees, he acknowledges the team’s overall performance needs slight polishing in order to face tougher opponents in the near future. After returning home, the Bruins are now looking forward to make the most out of the next few weeks of matches, which will include the beginning of the postseason. The next game for RBHS will take place at Bethel Park on Apr. 27 against the Park Hill Troys.